Technology moves at the speed of light, but travel days? Not so much. Technology and travel go hand-in-hand, and improvements by airlines to its websites and mobile apps has made some of the old ways of flying irrelevant. While you might be glad that the lines for customs at the airport is moving along faster because of new kiosks, questions and problems still arise during the check-in process. How do you know when you should check in online or when it’s best to arrive extra early at the airport? We’ve got some insider tips to answer these questions for you. If you are traveling within your home country, you often don’t have to go through the whole sideshow of standing in line to have your boarding pass printed out at the airport. Most airlines send you an email or text message notification that you can check in 24 hours before the flight is scheduled to depart. This gives you the opportunity to see if there are any delays at the airport the day before (or even a few hours before), and also precludes you from having to visit the counter at all. This is highly recommended and especially useful if you aren’t checking any bags. You should try to show up to the airport at least two hours before a domestic flight, but checking in online allows you to see ahead of time saves you some of that time as you can walk right up to the security line and then down to your gate. For international travel, you might want to rethink checking-in online. Most international travel is for the long haul and you’ll very likely be checking luggage at the kiosk, anyway. So, you might as well just check-in to your flight while also checking-in your luggage. Checked or carry-on luggage aside, international travel tends to be a bit more complicated. 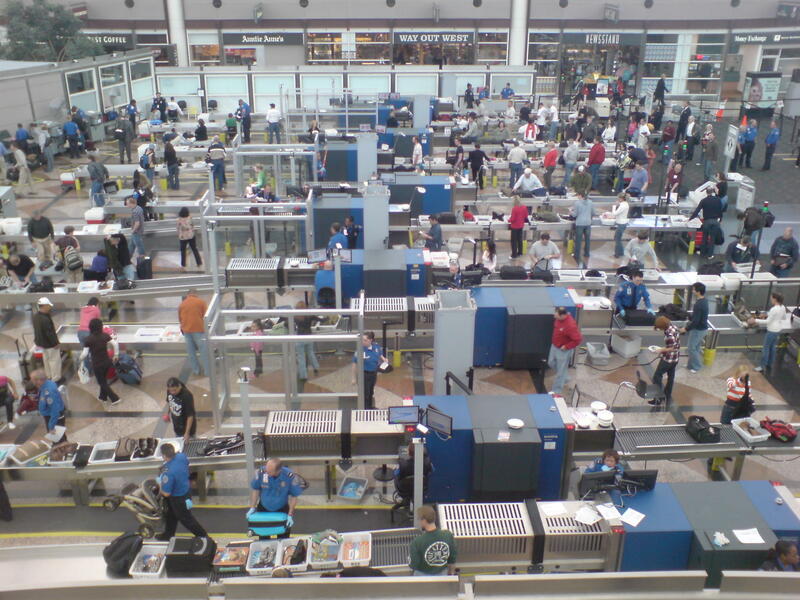 Most airlines warn of a high likelihood of long lines at check-in or security or both. Always have your boarding pass and passport in hand as the airline attendants will likely double check both items at security and before you board. Due to all of these additional measures, most airlines suggest you arrive at the airport three hours before an international flight. If your airline doesn’t alert you with a message that you can check-in to your flight before you head to the airport then you should leave a 30-minute window to account for one of these scenarios. There are some other benefits for checking in online. You are more likely to avoid long lines since you can go right through to security as soon as you arrive at the airport. Checking in on your computer also allows you to access your boarding pass on your phone or tablet, making it easier to take along with you and less likely to be forgotten. If you still prefer the old-fashioned way, you can also print it out to take with you, too. The best part about checking in online, however, might be that you get a chance to choose your own seat–make sure to check in early if you want to nab a seat in the front of the plane!